Bianco Romano primarily white with cream, gray and tan veining. 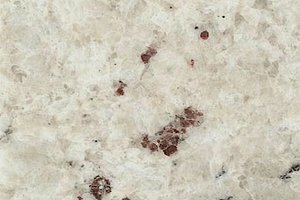 Bianco Romano countertops look like marble and has a pearl like appearance despite being granite. Bianco Romano translates to Roman White.